Mickim Games Ltd is an independent game developer. Found in 2013 by two industry veterans, bringing back enjoyable entertainment to the people. Technical Direction by Frans van Nispen, Art Direction by Angelo Bod, Composing, Arranging and Sound Design by Raphael Gesqua. 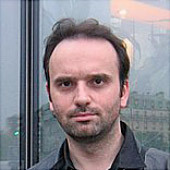 Lead Concept Artist, Jacques Gauthier. Started programming at an early age on Atari XL. For the Atari ST he released his sound chip editor called Chip Composor and Sentry Packer. 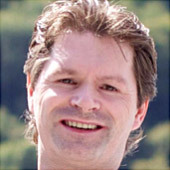 Later he became one of the lead programmers for BeOS/Zeta OS, for which he created the wave editor SampleStudio, photo retouching software Refraction and the puzzle game Quadrix. As freelance programmer for yellowTAB GmbH, the company behind Zeta OS, he was responsible for the media player, kernel, appserver, the low-level code that needed raw speed and more. The last couple of years he has been working on our own in-house 3D game engine XLR8 and the Nimnims. He started in the mid 80s in the demo scene on the well known 8bit and 16bit machines Commodore and Atari, similar to Frans and Raphael. After graduating he worked at various places over the many years at Domark, Eidos, Virgin, Squaresoft, SCEE. The opportunity came to direct a large art team in India, and after India he setup Magiclamp Games Ltd in 2008 together with Shafeq Rahman (ex-Sony). 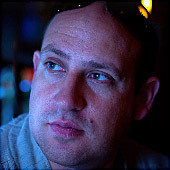 During the years he has worked on many titles such as Medievil Resurrection, Ford Racing, European Super League, Ghosthunter, 24 the Game, Need for Speed Pro Street, Dishonored, Bulletrun, Project Kane, and more. It is his passion for videogames that directly lead him to games and film music. He began composing music in his childhood, on the Mattel Intellivision console, and personal computers like the Amstrad CPC. 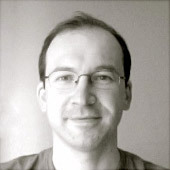 He entered the "Demoscene" in 1989 as "Audiomonster". Leading to a professional career in the videogames industry in 1991. And into the movie industry in 2003. After several French feature films, he is now preparing his first USA Feature Film Soundtrack, the next "Texas Chainsaw Massacre" prequel called "Leatherface". He is a storyboard and concept artist working in London. Over the last twenty years he has worked on animated series and films with credits on Bafta award winning shows Charlie and Lola, The Amazing world of Gumball, Angelina Ballerina and Beatrix Potter and Tree Fu Tom. His work in the games industry includes credits for Battlefield 2, Harry Potter - The prisoner of Azkaban and as lead concept artist on the criminally underrated Zubo for Nintendo DS. In 2011 he worked together with Angelo Bod on Project Kane for UTV Ignition.